Our organization holds expertise in offering a superior range of Plaster of Paris to our clients. We process this under high temperatures to create a fine quality of powder which is used in many applications such as fireproofing, art and medical. Our range is widely used in both commercial and residential building for purpose. Furthermore, we also meet the urgent requirement of our clients within a given timeline. We export these products at cost efficient prices. We offer a wide range of Gypsum Washing Unit which is manufactured using best grade quality materials with advance technology. 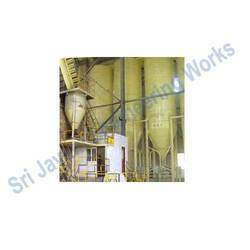 This unit is used for making gypsum smooth and further used in making of Plaster of Paris. Our range is highly appreciated by our clients for the smooth finishing and reliability. We supply these Washing Units in different specifications and can be customized as per the requirements given by the client. We export these units at reasonable prices. Looking for Plaster of Paris ?